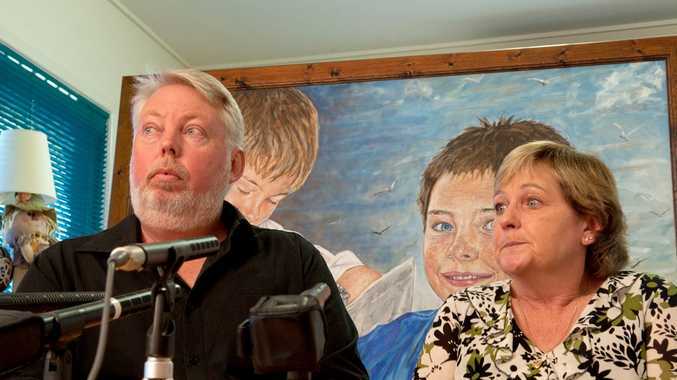 BRUCE and Denise Morcombe are angry a long-running spat in Queensland's legal fraternity could be behind further delays in an appeal involving their son's convicted murderer. The Sunshine Coast parents have been keenly awaiting judgment delivery from the Queensland Court of Appeal since the case was heard before three justices in November. Lawyers for Brett Peter Cowan, who was found guilty last year of murdering Daniel in 2003, revealed on Friday they would make an application to disqualify Chief Justice Tim Carmody from further involvement in the appeal amid allegations he is too closely aligned with a child protection lobby group. Barrister Peter Davis suggested in Brisbane Supreme Court on Friday that Justice Carmody showed bias when he had a private meeting in his chambers on April 15 with Bravehearts founder Hetty Johnston. He said the child protection advocate had publicly reviled his client including "public comments directly against Mr Cowan including things such as 'He ought never be released'." "... Mr Cowan is someone who has been directly targeted by that very lobby group. Yet it seems Your Honour is associating with the lobby group to assist it," he said. Justice Carmody agreed not to deliver his judgment in the appeal until the bias matter had been heard but believed "there is no serious possibility that a fair-minded person might reasonably apprehend bias". "Over-reaction, mischief-making rumour and baseless innuendo may impugn the integrity of the administration of justice just as well as actual or apprehended bias," he said. "However ... judges should not too readily disqualify themselves at the risk of damaging judicial independence, delaying justice to the parties, and burden other judicial officers subject to existing time and resource constraints." There is no precedent for this situation which could result in the whole appeal being heard again. Mrs Morcombe said she was told the appeal court would take about three months to hand down judgment but it was now five months since the case was heard. "We're annoyed that it wasn't done and dusted months ago," she said. "If the appeal decision had been handed down in a timely manner, this situation would not have happened. "We've spoken to Hetty and there was no discussion whatsoever about Cowan or Daniel in the meeting. Hetty is upset by this too." Mr Morcombe said the situation was a disgrace. "It's because they dragged the chain that this has caused an issue," he said. "People forget that we're talking about Daniel - a boy that wasn't allowed to grow up. "Is this delay because of a private spat between two legal eagles?" Mr Davis last year quit his role as Bar Association president after a confidential conversation where he argued against Justice Carmody's appointment became public. He later publicly stated that Justice Carmody should reconsider his position amid doubts over his impartiality - perceived to be close links to the LNP which appointed the justice. Mr Davis also pointed to emails showing over-familiarity with Ms Johnston - addressing the Chief Justice as Tim and using a smiley face symbol. "It doesn't matter if I'm the Chief Justice or the chief street sweeper, that's still my name," Justice Carmody argued. No further steps will be taken until Cowan's legal team formally lodges the application with the court.